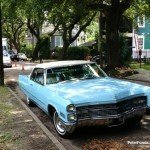 I recently finished shooting a film in New Orleans called The Runner. I play the father of Nicholas Cage’s character and the former mayor of New Orleans during the BP Oil Spill. I loved this role and film as it is beautifully written. We shot in found locations. Very cool! My favorite location was an old run down southern plantation house in the 9th ward. 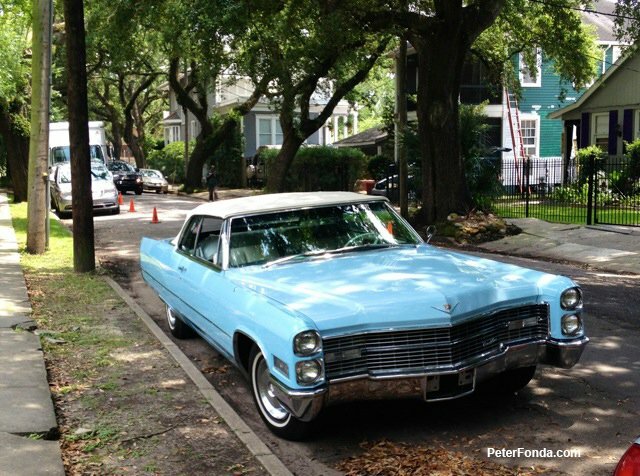 My ride in this film is a beautiful robins egg blue 1968 Cadillac DeVille convertible. Nick and I have done a few films together: Ghost Rider and Deadfall. This was our third film. Nick and I have a special connection to each other and it builds beautifully into our scenes together. In one of our scenes, I’m in the hospital. He starts recalling his memories of me(his father). It was a very emotional moment for both of us. Nick took my hand instead of touching me on the shoulder. I could not let go of his hand. The energy was too strong to let go of him. It was one of those moments that you never forget in your life.